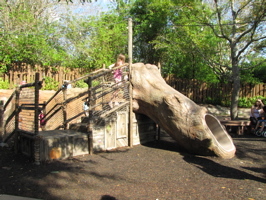 A better view of the tree (below, left) with a portion of the playground, which also included a slide (below, right). 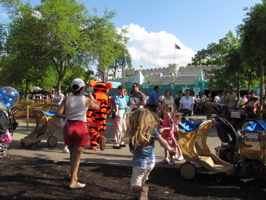 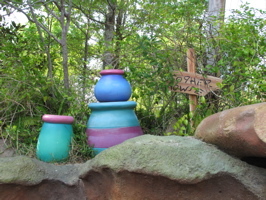 Honeypots (below left and right) were part of the theming for this kids play area. 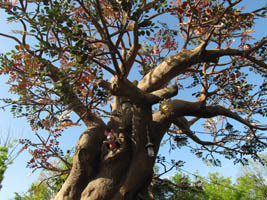 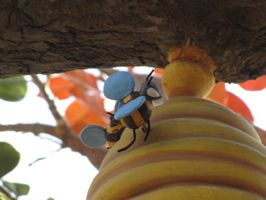 A bee at his hive (below, left) and Piglet (below, right) might be seen again soon if the tree does get moved. 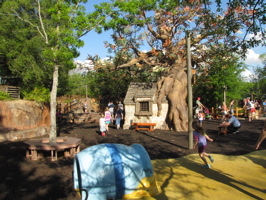 The tree also had a room for kids to check out (below left and right), a small playhouse. 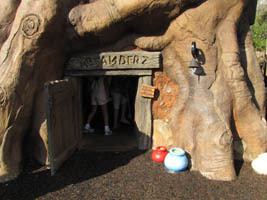 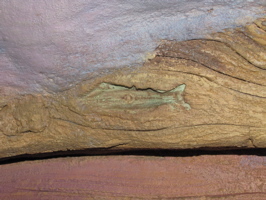 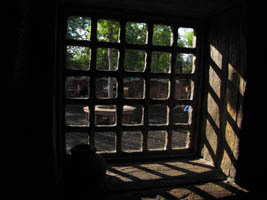 There was a window to look out of (below, left) and a nod to the former tenant of this area of Fantasyland, the 20,000 Leagues Under the Sea attraction (below, right). 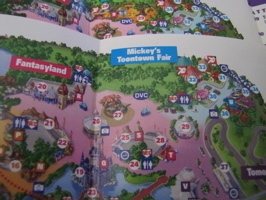 The current map now shows no Pooh’s Playful Spot or Ariel’s Grotto (below left) and the construction wall starts at Mickey’s Toontown Fair (below, right). 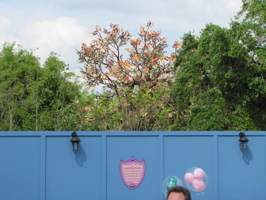 The wall extends from where the Mickey’s Toontown Fair sign is to just past Ariel’s Grotto. 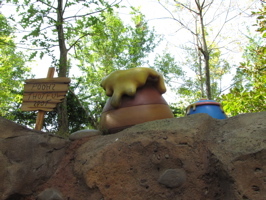 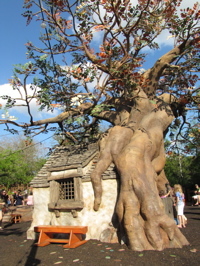 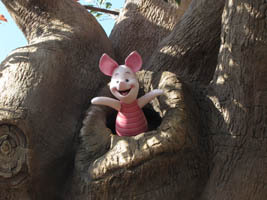 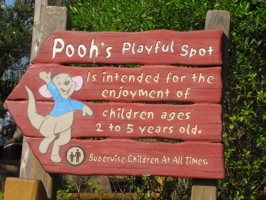 This area is near The Many Adventures of Winnie the Pooh (below left and right). 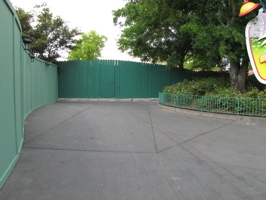 The area (below, left) in front of the attraction is where the tree (below, right in it’s current area) is going to be relocated. 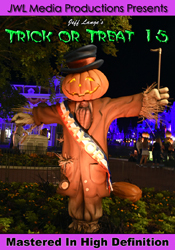 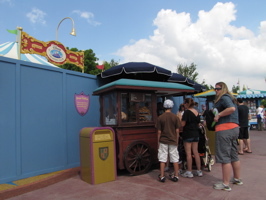 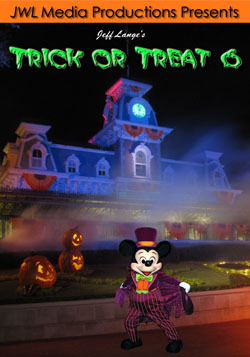 One of several food carts can be seen in front of the blocked-off DVC booth (below, left). 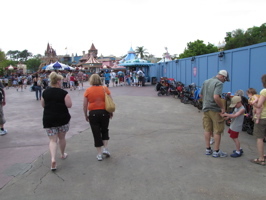 The blue wall extends down Fantasyland (below, right). 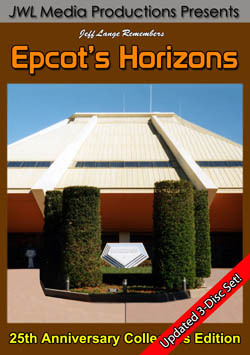 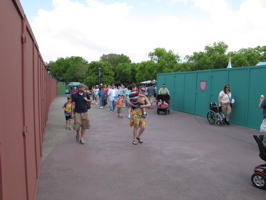 Bonus Video – The Great Construction Wall in Fantasyland, Magic Kingdom Walt Disney World 4/15/2010 – The wall now stretches from Mickey’s Toontown Fair to just past Ariel’s Grotto. 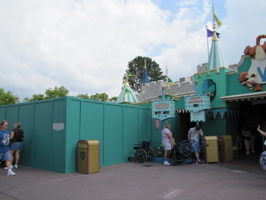 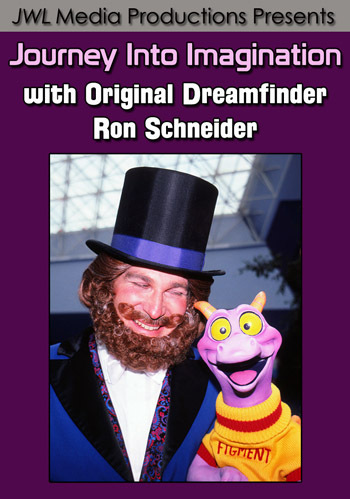 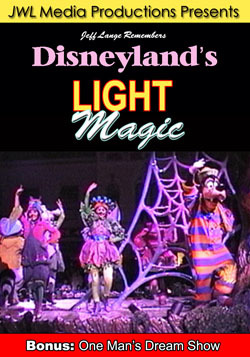 This is making way for the Fantasyland Expansion. 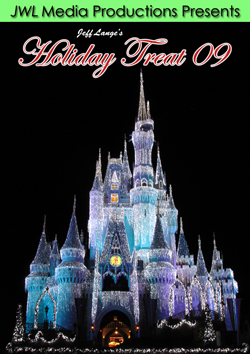 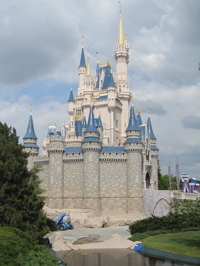 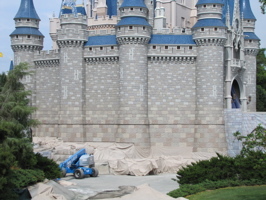 Work is ongoing at Cinderella Castle (below left and right). 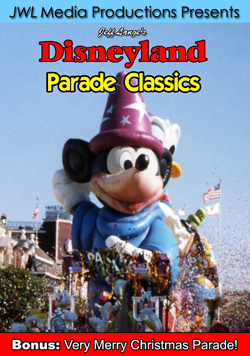 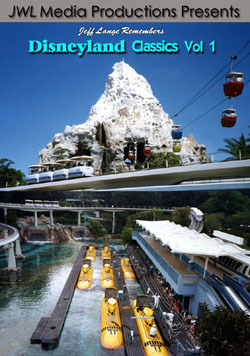 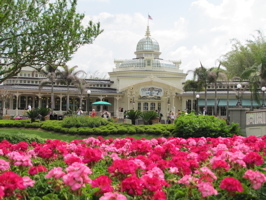 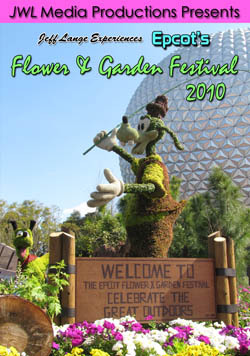 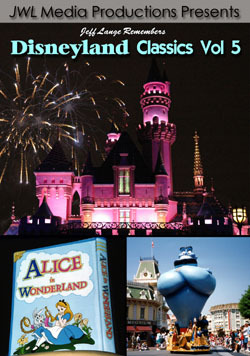 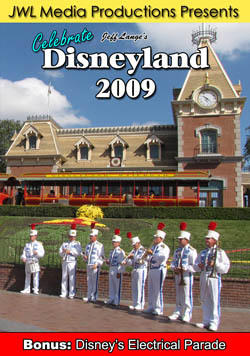 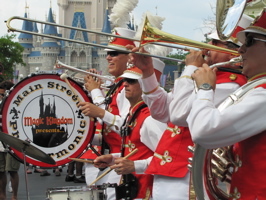 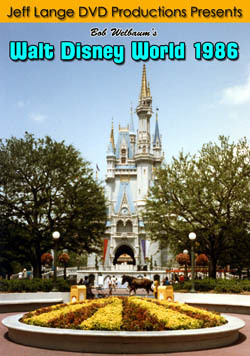 Flowers bloom in the foreground while looking at the Crystal Palace (below, left) and the Main Street Philharmonic plays on Main Street USA (below, right).